If you’re looking for a career, not just a job, stop looking – you’re in the right place. Since opening Cleveland, Tennessee’s first Ford Dealership in 1911, our family has been helping people find the right cars to meet their needs. In 1991, we opened the first Easy Auto in Cleveland, followed by Sunrise Acceptance in 1999. Easy Auto and Sunrise Acceptance have continued to grow since that time, adding our Knoxville, TN store in 2009, our Dalton, GA store in 2011, as well as relocating our existing Cleveland, TN store and Reconditioning Center in 2011. In 2014, we opened our fifth dealership, located in Murfreesboro, TN. We now have over 150 employees, and our Core Values center on the Golden Rule, which encompasses friendliness, integrity and fairness; and we extend those values to our employees and to customers as well. We are proud to offer strong career advancement and growth opportunities, as over 80% of our management staff have been promoted from within. 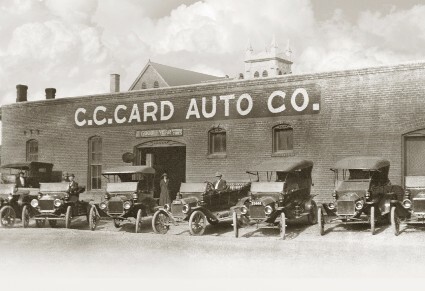 For over 100 years, we have been helping customers find the right vehicles to meet their needs. But what sets Easy Auto apart isn’t just our experience; it is our employees – they genuinely care for our customers and about doing the right thing. Our employees make us who we are today. Our Sales Representatives are into helping people - they're honest and friendly with everyone! Through prospecting, referrals, and walk-in customers, our Sales Team works together to give our customers an unforgettable buying experience. We don't over-staff our Sales departments. We prefer a small group of loyal and solid contributors who want to work hard to earn a good living at one place that can be a home away from home. We also believe in having a good work and life balance - all while earning a great income. We expect our Sales Representatives to work no more than 45 - 50 hours per week. Our top performers typically make $80,000 - $100,000+ annually, and our average experience Sales Representatives generally make over $73,000. Don't have sales experience? Not a problem! We have a great training program for driven and self-motivated candidates, which includes a guarantee for twelve months. Over 90% of our Sales Management team have been promoted through the Sales staff. Account Managers provide our customers an outstanding customer experience, building relationships with the customers in their portfolios. They work with our customers to set up mutually agreeable payment plans, sometimes in difficult situations. Our Account Managers generally start as Account Representatives, receiving extensive training to prepare them. They work in a team setting at our beautiful Sunrise Acceptance Main Office, and enjoy on-going training to help them provide the utmost in customer service. Our Account Managers typically average $44,000, while our top performers earn over $50,000 per year. All of our Collections Management Team have been promoted through the Department. Our Mechanics keep our stores stocked with reliable, front-line ready vehicles we are proud to put our families and customers in. They generally work in a team setting in one of our three large reconditioning shops behind our Cleveland dealership. Our Mechanics are paid a hourly rate plus a weekly bonus (no book time!). Pay ranges start at $14/hr and go up to $19+/hr for Senior Mechanics. With over 25 Mechanics and Senior Mechanics on our team, we have hundreds of years of experience we share with each other.  Many of our Mechanics have worked at franchised dealerships, but prefer the consistency of a Monday - Friday, 40 hour a week schedule, all year round, as well as the many other benefits provided by Easy Auto. We provide on-going training opportunities and encourage our team to earn additional ASE certifications – we even provide tuition reimbursements and pay increases for earning these certifications. Our Finance teams are the face of Sunrise Acceptance for our customers at our dealerships. They work closely with our customers, providing them with a friendly smile, a welcoming atmosphere, and reliable information. Our Finance Clerks get to know customers early on, starting with walking them through the financing paperwork. They stay in touch with customers by processing payments for our customers and maintaining on-going relationships with our customers throughout their relationship with the Company. We offer part-time and full-time positions in this department, with Clerks starting around $12/hour. Most of our Finance Managers began as Finance Clerks with us, as this is a great entry-level position. Some have gone on to careers in Sales and Sales Management positions with us, while others have moved into Account Manager roles. Our Lot Attendants work at our dealerships and are responsible for keeping our vehicle inventory and dealerships’ appearances in tip-top shape. They ensure our vehicles are reliable and front-line ready, and may perform light cosmetic or mechanical work, depending on experience and skill level. We offer part-time and full-time positions in this department, with Attendants starting around $11/hour. This is a great entry-level position. Some have gone on to careers in Sales with us, while others have moved into Inventory Manager roles. Don’t just take our word for it – get to know a few of our team members and find out why they are building their careers with Easy Auto. I was hired in 2004 as a Collector for Sunrise Acceptance. While I wasn’t 100% sure what I wanted to do with my career at that time, I knew I wanted to be a part of this company because of the family atmosphere and the work-life balance. I’ve had mentors at every step along the way, and they’ve helped me transition to Sales and now as Easy Auto’s General Manager. I’ve always found that as an individual, you really do matter to the managers and owners, and I think that’s what sets Easy Auto & Sunrise Acceptance apart from other employers. 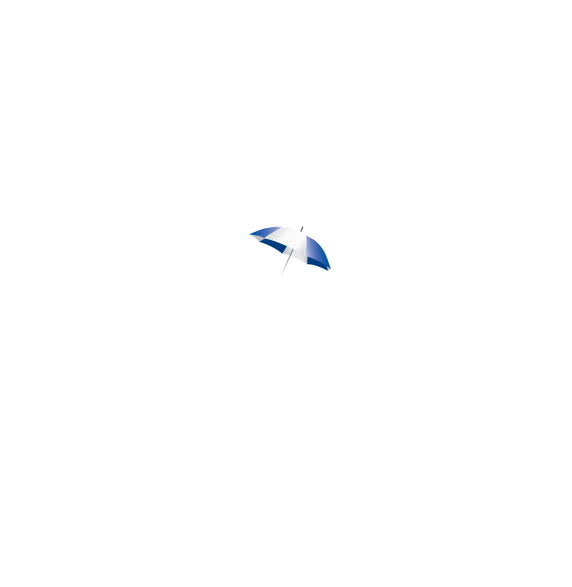 I began working at Easy Auto as a Sales Representative in 2009 after a friend told me how great a company Easy Auto was to work for. Since that time, I’ve been promoted to an Operations Manager position and now Store Manager. I enjoy working for a company that truly cares about it’s customers and employees, and I love knowing that I’m making a difference in our customers’ lives. I came to Easy Auto from a new car dealership after I heard several friends talking about what a great company it was to work for. Not only does Easy Auto treat customers like guests in their home; they also treat their employees like family. I enjoy my job every day because I know there's a great balance for me in the five day work week, and they want me to take time off to be with my family. It's a great company to work for. I was hired in 1994 as an Account Manager, and I’ve built my career here the last 25+ years because Easy Auto is family oriented. All of our employees are expected to follow the Golden Rule, so we treat each other the way we’d want to be treated. If you’re a part of our team, you know that the Company cares about you and truly wants you to succeed. I enjoyed my initial employment at Sunrise Acceptance from 2004 – 2008, but I decided I needed to be home with my sons while they were young. When I was ready to work again in 2012, I didn’t even apply anywhere else. They were great to me before, so I knew there was no other place I wanted to work. I am proud to work for Sunrise Acceptance and am honored to be a part of the family since 2003. I've built my career here because I have always felt appreciated by the Company and my manager. I get the opportunity to work with my department and include them in decisions, and I know our input is sought out and valued by our management team. During my career here, I've been encouraged and provided the opportunity to attend ongoing training, which allows me to continue to grow. I was hired in 2008 as a Mechanic in Training. Over the years, the Company has encouraged me to earn my ASE Certifications, and they’ve even paid for me to do so. This has allowed me to grow not only my skills, but also my career. I’ve gotten the opportunity to build my knowledge on all kinds of makes and models of cars, which is another reason I’ve built my career here. Since joining the Easy Auto team in 2003, I've loved seeing the Company grow from two dealerships to five, as well as add our Reconditioning Center. My favorite part about working here is that you are not just another number. Our management team understands that each employee is a person with great ideas. If you apply yourself, they will help you succeed within the Company. Before joining the Easy Auto team, I worked at mostly large corporations but wanted a change after consistently seeing decisions made solely on what was best for their business instead of what was good for both the company and their employees. I was referred by a friend to Easy Auto, and upon my first interview with their team, I knew they were something special. The owners and leaders here truly value their employees, which is rare in my experience. Here, I have found not only a great work and family life balance, but also the opportunity for growth in an environment filled with the best employees around. They are more like family than co-workers, and I consider myself fortunate every day to come to work here. I was hired at Easy Auto in 2017 looking for a position in the automotive industy. I wanted to work somewhere I could grow my career and help others. I get excited to come to work everyday to help people that need transportation get the vehicle they are wanting. After being hired I had mentors and encouragement from the team around to advance my career into Sales. I love working for Easy Auto because they truly believe in their mission statement and treat their employees great respect. Easy Auto is like working with your family. When I was started in 2016, I wanted to work somewhere I was able to grow within the company. I went from part time to full time Lot Attendant. Then, eventually was able to move into sales. I wanted to make more money and really have a career here at Easy Auto; and I was able to do that by getting promoted to sales. This is a great company to work for; they really take care of their employees. They are like a second family and make it fun to come to work every day. When I was hired in 2015, I was really seeking a career, not just a job. I was able to find that here at Easy Auto. I was given encouragement and support from my supervisor to grow with our company and expand into different roles. I love the opportunity help customers daily and change lives. We are going places here at Easy Auto and always learning new things, and I am glad to be part of this amazing team. I began at Easy Auto as a Finance Clerk in 2012. In 2016 I was promoted to Finance Manager. I loved the opportunities for growth with our company. There was always support and mentoring along the way from my supervisors to grow into different roles within the company. I was interested in a new challenge with our company and was able to be promoted to Account Manager in 2018. I love working for Easy Auto/Sunrise Acceptance, because of the way they treat their employees. They really care and listen to their employees.